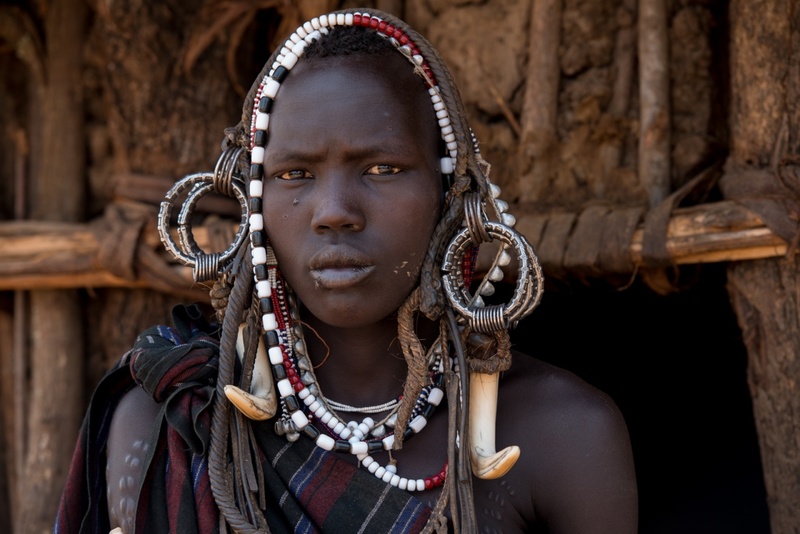 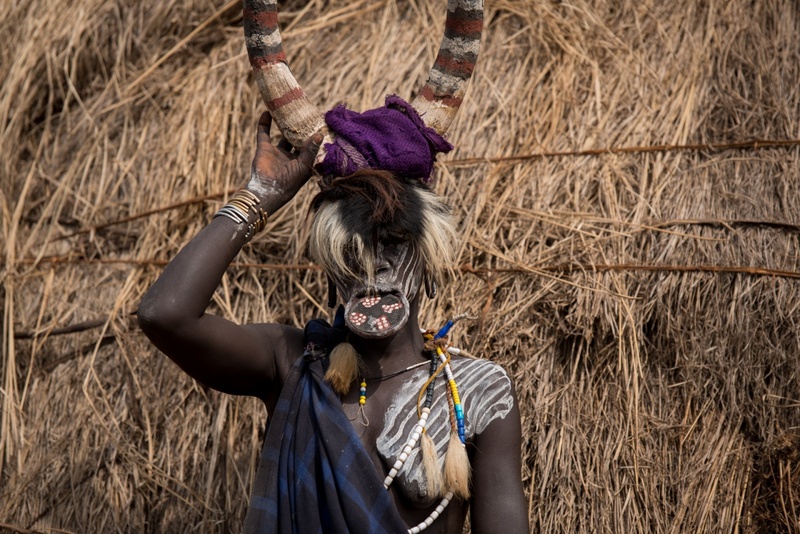 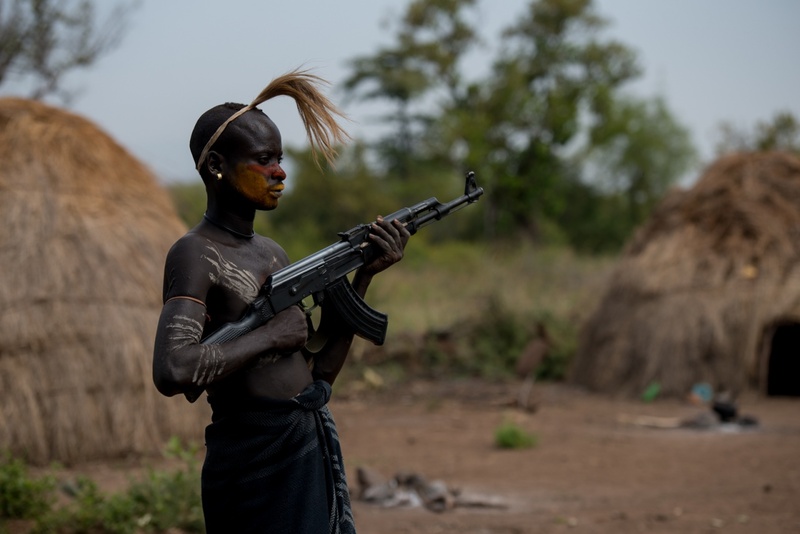 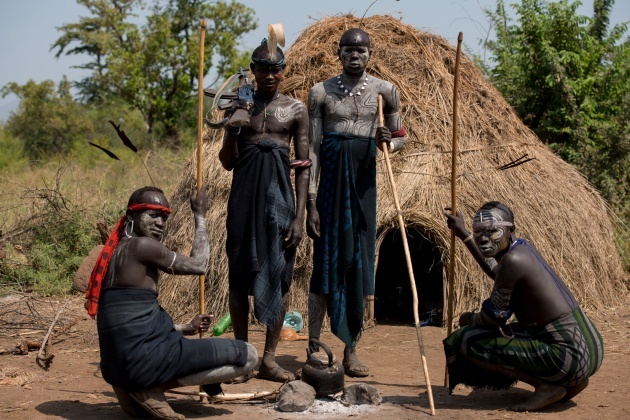 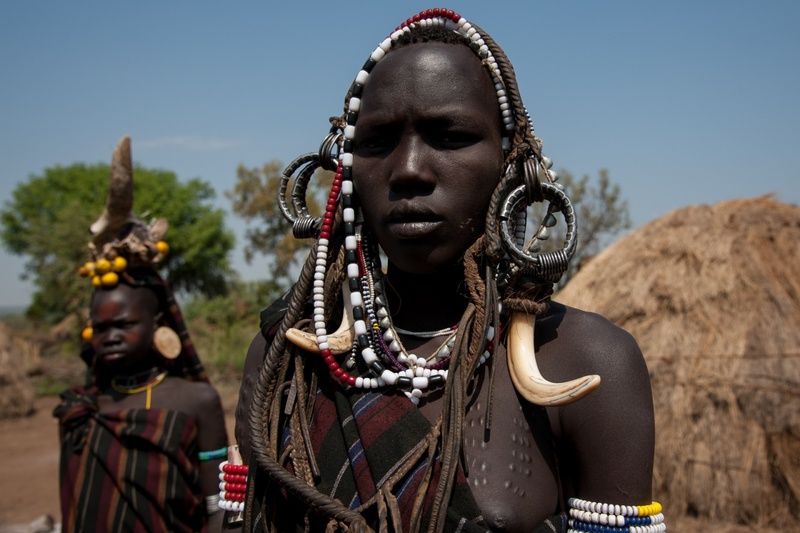 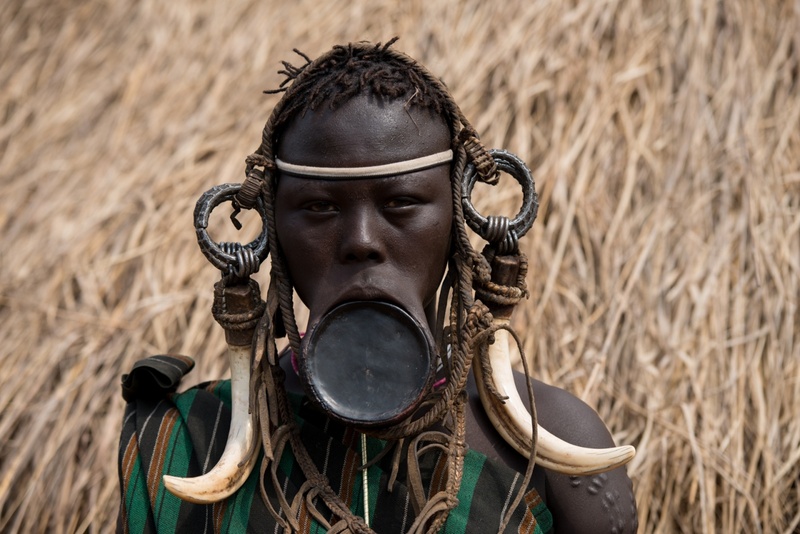 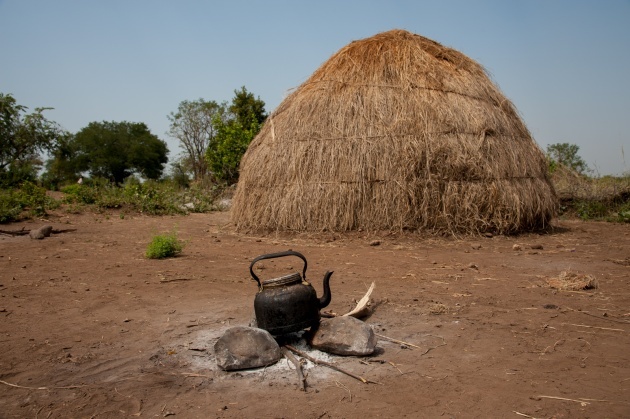 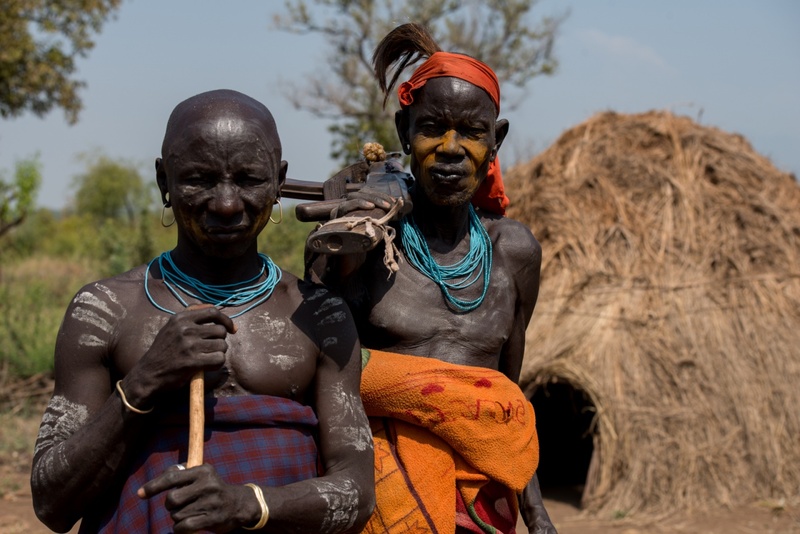 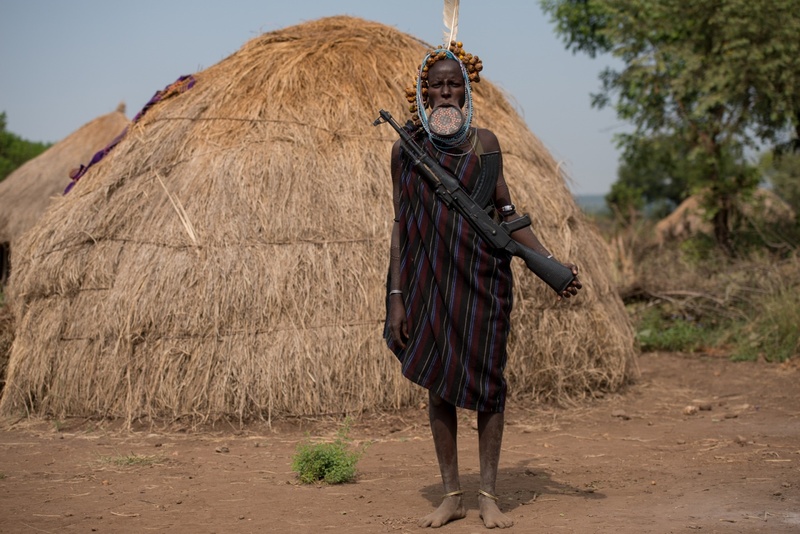 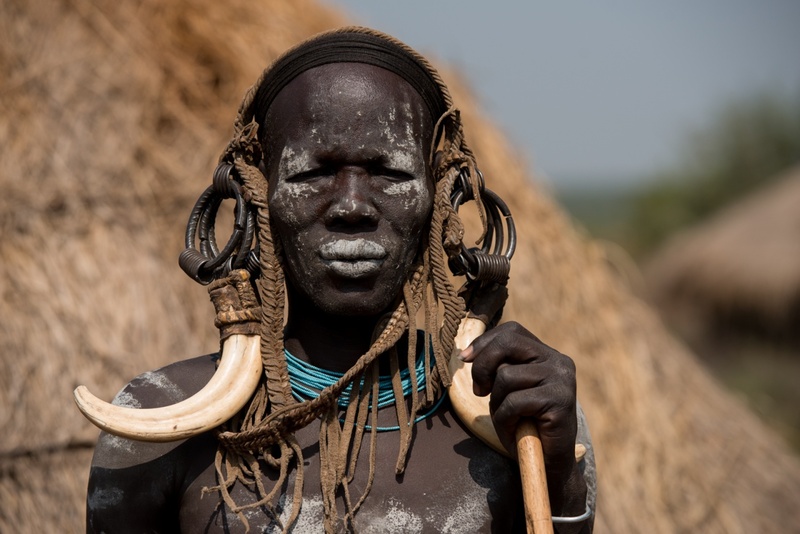 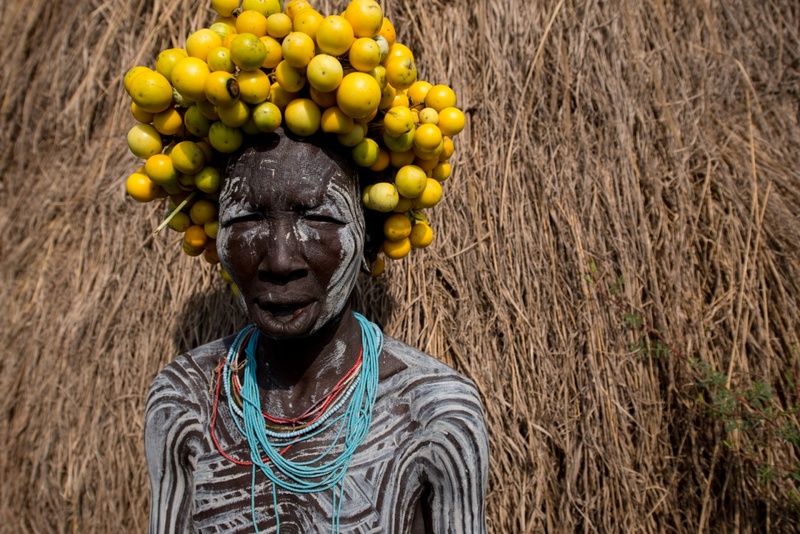 The Mursi people live in Ethiopia's depp south, in the valley of the Omo river. 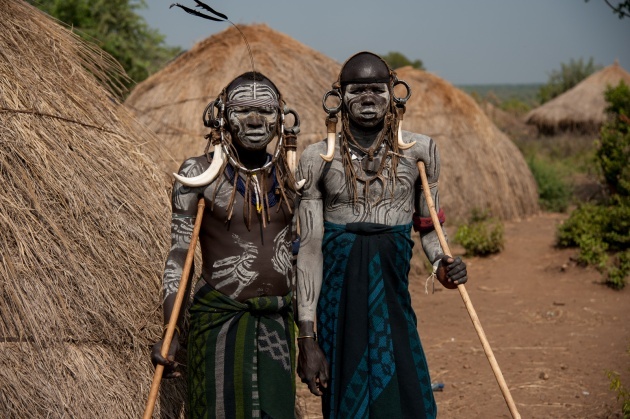 They are an ethnic group of brave and fierce warriors, still at war with the neighbouring peoples, to defend their land and their cattle. 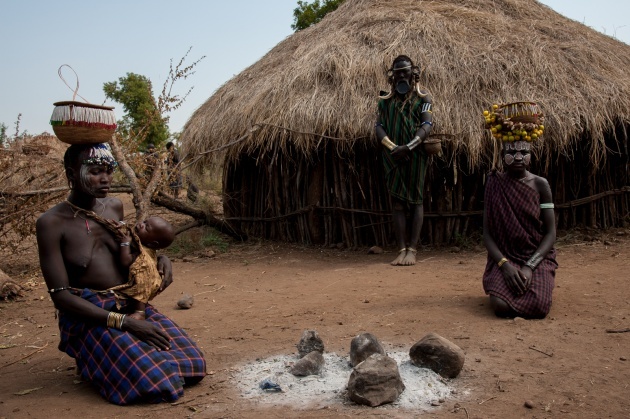 A people prud of their ancient traditions, still observed even by the youngest. 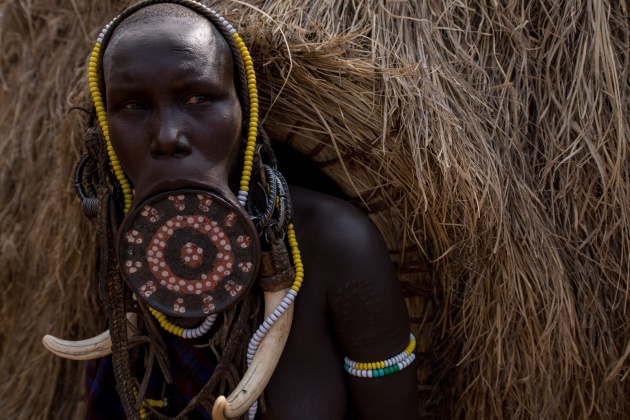 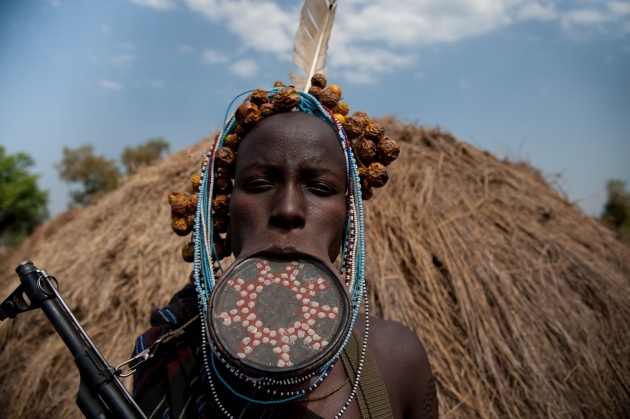 The women, during the passage from puberty to adulthood, start wearing a large pottery disc, cutting their lower lip and removing their front teeth. For them, this is synonymous with beauty, and the bigger the disc, the more they will be courted. 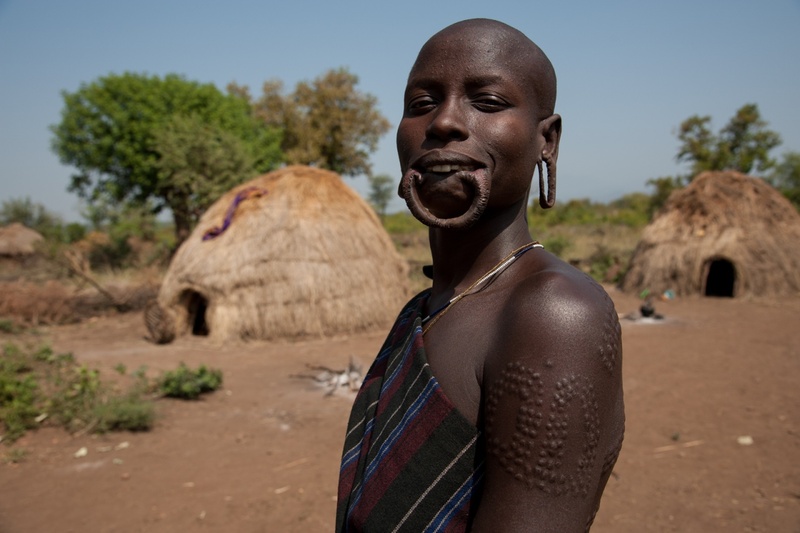 The body scarification is a practice used by both men and women. 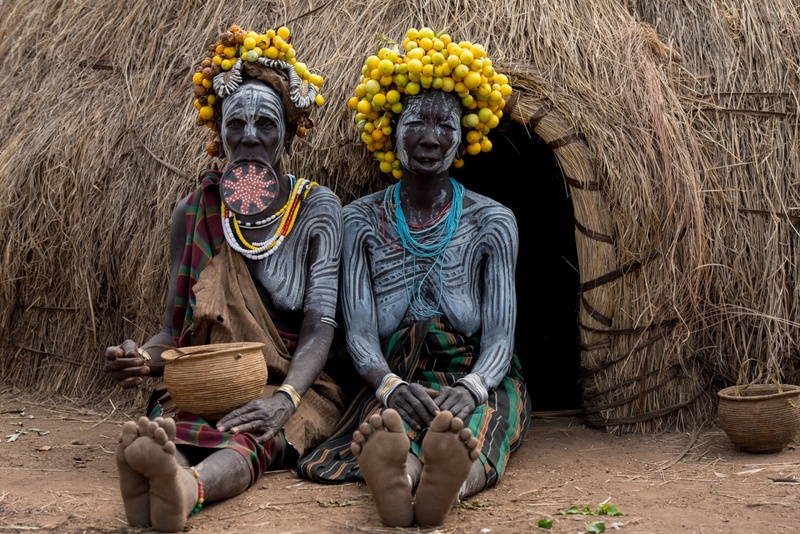 To appear more actrative, and to demonstrate their courage. 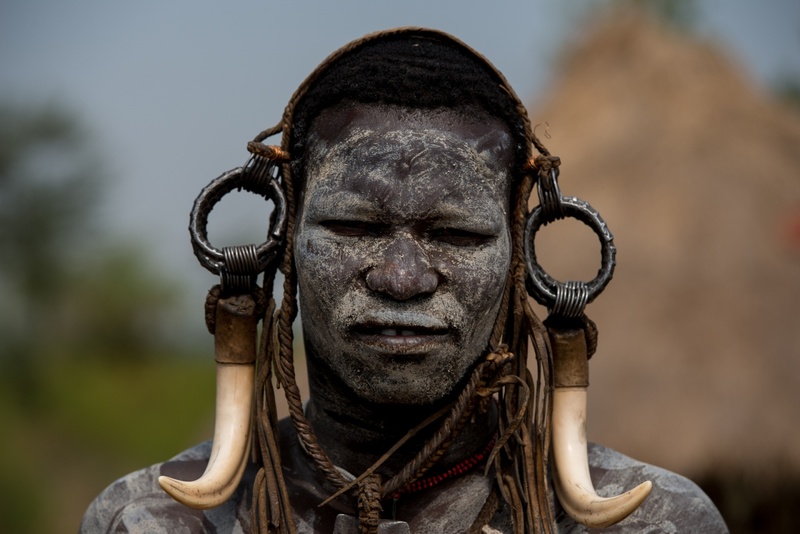 With sample blades, making very painful cuts under the skin. The scars that set up give life to tattoos of strong effect.